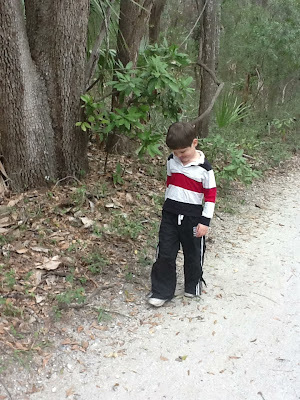 For the past several years I have tried really hard to spend some quality time sharing glimpses of Autism by devoting a large part of my blog posts in April to Autism Awareness Month... and I am doing it again this year. I know that many of my readers have been touched by Autism in some way, and others have not, so you may come at this from a very different perspective - I hope that at some point this month you will learn something new, be touched by something I post (whether it's written by me or a guest), dispel a myth, share something you've read or just comment and tell me about how Autism (or learning about it) has impacted your life! At this time last year, we were struggling a little with Liam's schooling... he was in a class with 12 students - 8 typically developing and 4 with special needs and we were all struggling with that placement - Liam would get overwhelmed sometimes and forgotten at others... it was tough to teach him the skills he needed in that setting because he needed more one on one help than the teacher could provide... in some ways those difficulties were a blessing - by the very end of the school year, Liam was granted an extra 90 minutes a day of targeted 1 on 1 instruction to reinforce concepts... and that has carried over to his current placement! Last year at this time, Liam was recognizing letters and starting to spell simple words, he could write the alphabet and count to nearly 100... now he is reading simple stories using a variety of tools and focusing on comprehension! He's counting beyond 100 and adding and subtracting single digits! He's still struggling with the social side of school, but comes home and tells me about his friends - focusing more on spelling their names out, but it's a start right! As we continue our Autism Month posts I am sure that I will share more about where Liam and our family are on this journey and I hope that you will share this little trip with us! 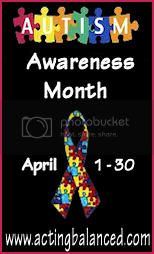 If you have space and an interest, please consider grabbing the Autism Awareness Month button off my right sidebar and sharing it with your readers!